The opportunity of having any item of clothing designed and fit to perfection in this day and age is an unusual occurrence. 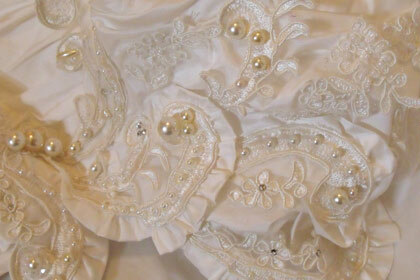 The mass import of cheaply priced clothing has meant that couture clothing has become a niche market. 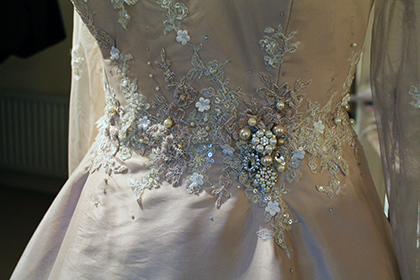 That is why Jacquie endeavours to keep the bespoke process as affordable as possible without compromising on quality. 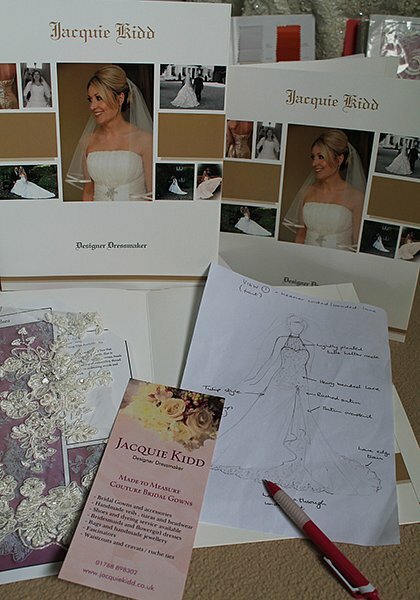 Jacquie provides a personal couture service where you can bring your ideas to a free, non-obligatory, first consultation and browse through the hundreds of fabric samples available to create the gown of your dreams. 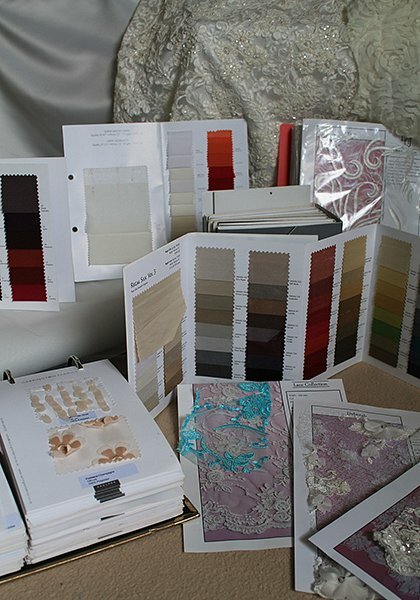 Once the booking process is complete a personal portfolio is sent to the bride containing sketches and fabric samples and body measurements are taken. 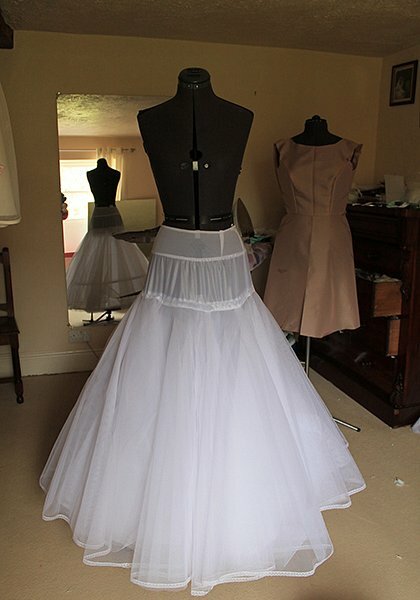 A toile is made, (calico mock up of basic dress) fit on the bride and altered where necessary. 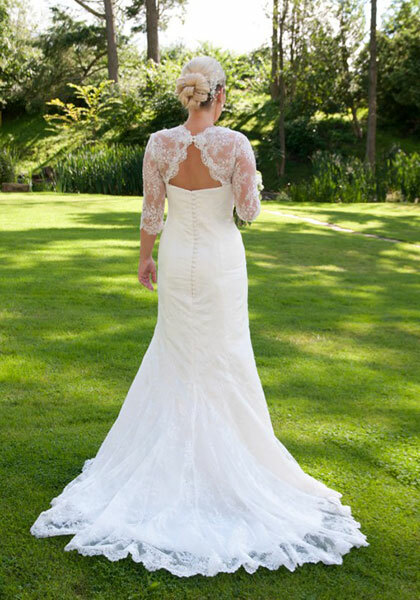 A further 3-5 fittings are then required within a time scale of usually 4 months, to create your perfect gown. 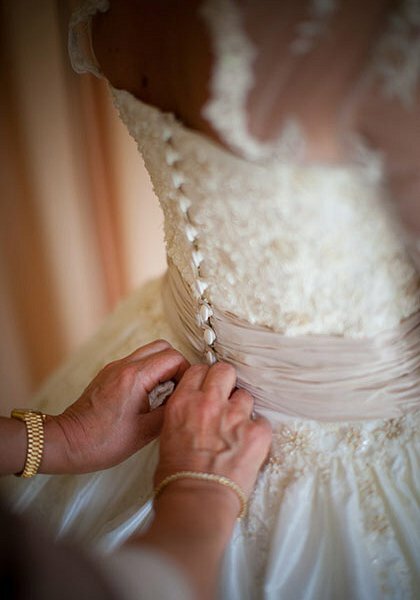 Jacquie will press and deliver your gown ready to wear and even offers a free dressing service for her brides on the wedding day within a 30 mile radius of her home (a small charge applies beyond this distance). Just wanted to say a huge thank you to you for everything you’ve done for me over the past few months. 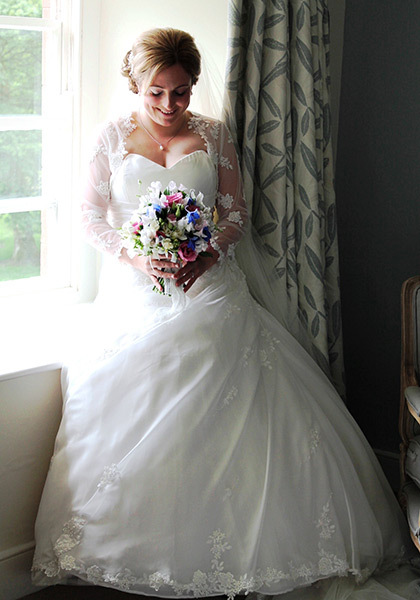 Everyone adored the dress and I felt fabulous in it! We looked absolutely amazing thanks to you. You are so special and talented it has been a pleasure working with you. The day went really well, and I absolutely loved my dress. It was perfect. Thank you so much for all your hard work, and for putting up with me! 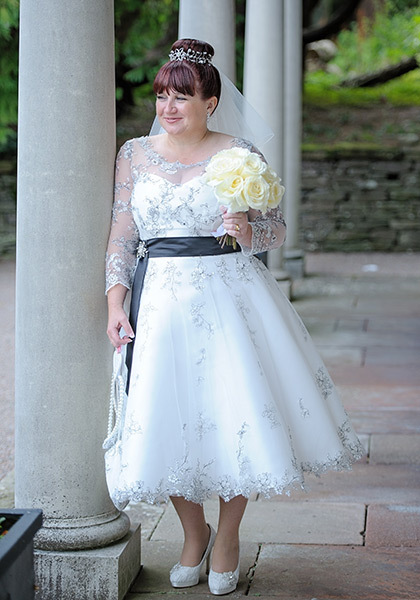 Bride chose a short 50’s swing style dress with black edged embroidered tulle and corsetted bodice teamed with a black satin sash for her Audrey Hepburn wedding. 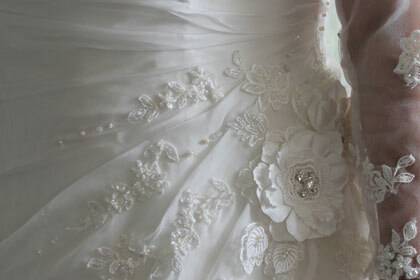 The bride wanted a flowing gown of organza with lace detail. Corsetted for support with shoulder cover of a lace shrug.